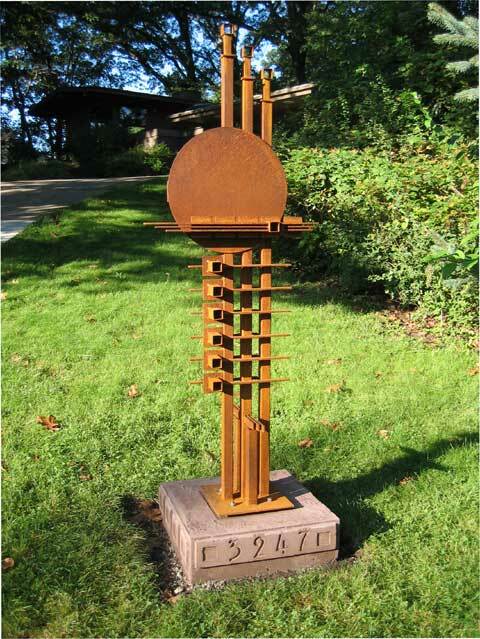 This sculpture was inspired by my usonian house and the design motifs of Frank Lloyd Wright. It was the first serious sculpture that I did. We purchased our home in 2003.